Over the years we’ve noticed that the autumn seems to be the time when everyone starts thinking about taking a supplement to boost their health – and, hopefully, avoid the worst of the winter bugs. Usually this takes the form of a multi vitamin or, more commonly in recent years, a higher dose of a specific vitamin, particularly Vitamin C.
For some reason people tend to overlook minerals – unless their multi vitamin happens to contain them too (!) – and how they’re just as important in maintaining good health. This may be due to research – and press coverage – in recent years focusing more on vitamins than minerals. Or, perhaps, no single mineral has caught the public’s attention in the way Vitamin C has. Whatever the reason(s) this week we’re going to focus on minerals and why they’re just as important as vitamins for good health. So what exactly is a mineral and how is it different to a vitamin? Minerals are inorganic substances and come from soil and water. While some minerals can be absorbed directly by the body from water, in most cases they’re not in a form that the body can use. This means that we rely on plants and animals to first take in – and then convert – minerals into a form we can then utilise. As an aside, this is the reason we always recommend clients to only buy supplements that come from plant – or animal – sources. While they are more expensive, they are in a form the body is designed to deal with. By contrast, lower grade supplements are the equivalent of eating the mineral direct from the soil or water; with the body simply not being able to fully digest and absorb it. This is why research on many lower grade supplements have found that very little is absorbed and so have questioned their value. However, in doing so, they have overlooked the most important point that they’re not produced in a form the body can use. Minerals have a simpler chemical structure than vitamins and are much more resilient. This means they tolerate heat, chilling, light, storage, cooking and other food preparation processes – like cutting or shredding – much better than vitamins. As you’d expect, not all minerals are needed in the same amounts by the body. However, this doesn’t mean that those needed in smaller amounts are any less important. Those required in larger amounts – such as magnesium, phosphorus and calcium – are known as macro minerals. While those needed in smaller amounts – such as iron, manganese, copper and iodine – are known as trace minerals. Vitamins, on the other hand, are organic substances. This means they are only produced by living organisms, such as plants and animals. They tend to have a much more complex chemical structure than minerals and are much less resilient. This is why we recommend buying food locally – and as soon as possible after it’s harvested – and not keeping it for days in the fridge before eating it. It’s also the reason not to buy pre prepared fruit and vegetables, as the loss of vitamins increases dramatically once they’ve been cut or processed. They may still look fresh and appetising but, sadly, contain very little in the way of nutrition. Again, vitamins are needed in varying amounts by the body, but are classified in a different way to minerals. 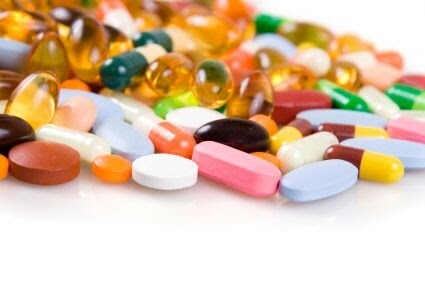 Water soluble vitamins – such as Vitamins B and C – are dissolved in water and cannot be stored in the body. This means that they need to be a regular part of the diet. Fat soluble vitamins – such as Vitamins A, D, E and K – are stored in the body’s fat cells, so the body can use these reserves if sufficient quantities of them haven’t been consumed when they’re needed. What are minerals and vitamins used for? As you’d expect, each mineral and vitamin has many different uses within the body. Often it’s said that minerals are more to do with body structure – such as bone, teeth and muscles – while vitamins are needed for body processes – including the release of energy from food, blood clotting and an efficient immune system. However, in practice, it just isn’t that simple. To make things even more complicated, there’s a complex web of relationships between different minerals and vitamins. None can be utilised on their own, but require other vitamins and minerals to be present before they can be used. This is the reason it’s important to do your research – and / or take advice – before considering taking single vitamins or minerals. Simply taking a higher dose of one doesn’t automatically mean that the body can utilise it. Instead it often causes more problems, as the body then has to remove the excess it can’t use from the system. Ironically, this can often use up other minerals and vitamins in the process. Magnesium is a good example of all these complexities, with it being needed by more than 300 biochemical reactions in the body. These include maintaining a normal nerve and muscle function, healthy immune system, steady heart beat and strong bones. It also helps regulate blood glucose levels and aids the production of energy and proteins. If we just take one of these functions, strong bones, magnesium is not the only mineral – or vitamin – required to build bones. As you’d expect calcium is also needed, along with silica, phosphorus, zinc, copper and boron, to name but a few. Vitamin D helps controls the process and also maintains the balance between bone formation and reabsorption. Alongside this is Vitamin K2, whose role in supporting Vitamin D and the rate of calcium absorption, has only recently been recognised. Interestingly, magnesium is one of the minerals which has been the subject of research and its deficiency is now being linked to many common – and increasing – health problems. There’s so much more that we could say on magnesium that we’re going to take an in depth look at it in a couple of weeks’ time. You have been warned!